The Witches of Eastwick is a 1987 American dark fantasy-comedy film based on John Updike's novel The Witches of Eastwick (1984). 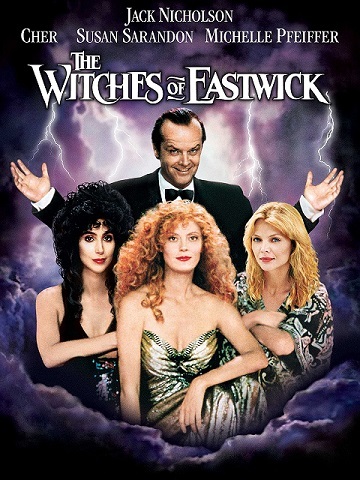 Directed by George Miller, the film stars Jack Nicholson as Daryl Van Horne, alongside Cher, Michelle Pfeiffer and Susan Sarandon as the eponymous witches. This is another old flick that I haven't watched in years and just recently got the chance to re-watched again. Though I think I may have liked it a little more when I used to watch it frequently as a youngster, I still enjoyed watching it again nonetheless. And I felt it's worthy of it's own thread here on the Rewind. 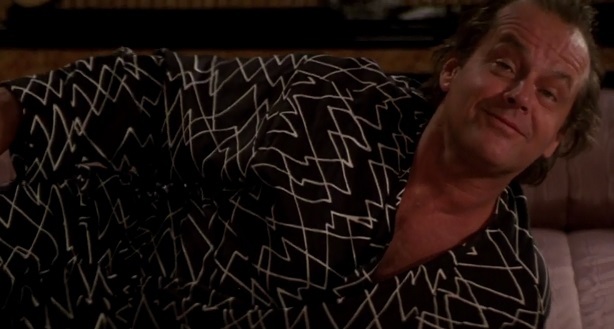 The main difference that I had watching this movie again now as a (slightly) more mature adult is I think I enjoyed Jack Nicholson's performance a lot more now than I did back then. I felt his performance in this was nothing short of brilliant and downright hilarious. And yes, he easily outshines all three of his co-stars IMO. He's just so devilishly delightful in this movie even though he is supposed to be the "bad guy". I suppose it's very similar to how a lot of people felt toward him as The Joker in the 1989 Batman movie. Overall, I think this movie is still a delight to watch. Although it might not have aged all that well to some, I think it's still a good twisted dark comedy/horror movie. I can certainly recommend checking it out if you've never seen it based off of Jack Nicholson's funny & twisted performance alone. I need to rewatch this one!